Come and decorate a mug at the Office of the Chaplains. 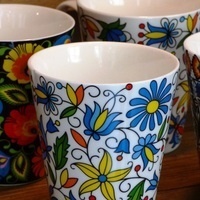 With three different styles of mugs to choose from you can pick your favorite. The mug is yours to keep, take it home or add it to the wall of mugs in the chapel basement. Mugs will be available for pickup/use 48 hours after the event. This event is a part of Colgate's 13 Days of Green.